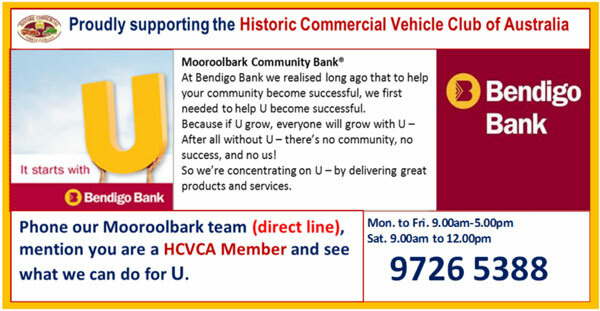 The Club is governed by the Model Rules issued by Consumer Affairs Victoria. The model rules are available in four different languages. Change to Club Permit Scheme applications for HCVCA. Although the proposed changes to the (Victorian) CPS have not yet been implemented into the Regulations the requirement for photographs of the vehicle are being introduced by HCVCA from December 1 2014. Photographs should be 15cm x 10cm (6 x4 inch) colour hard copy. Photos will be labelled and stored by the Club for VicRoads inspection if required. Applications will not be processed if photos not included with application.